Buying a new garage door isn’t something you have to do too often in life, hopefully. Because of this, you may be left with many questions on how to do such a thing. It’s with this in mind, that we at Blue Water Garage Door Services are here to provide you with the main questions to keep in mind when buying a new garage door. How much do garage doors cost? As with many things in life, cost will vary based on a number of factors. There are many options of garage doors available to purchase for your home and which you should go for should be based on your living environment as well as what your budget allows. Steel, wood and aluminum make up the three most common types of garage doors and are also ranked in order from least expensive to most expensive. 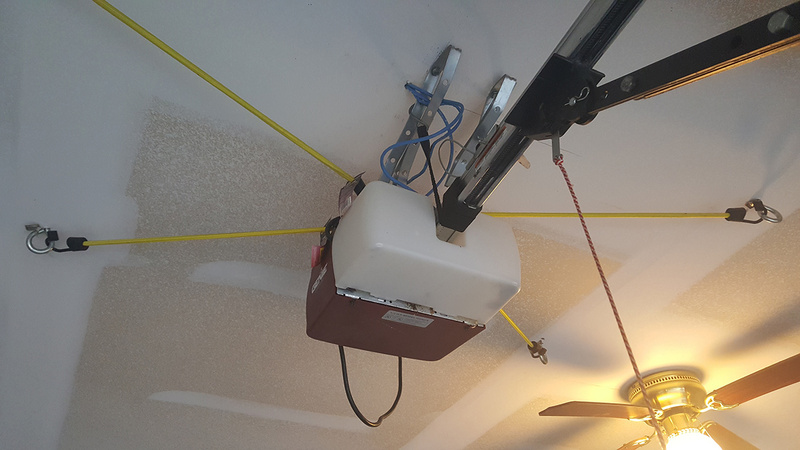 Is garage door insulation important? The answer to this question is best answered based on where you are located. While many home’s garages are not heated, the insulation or lack thereof can still have an impact on the energy efficiency of your home. 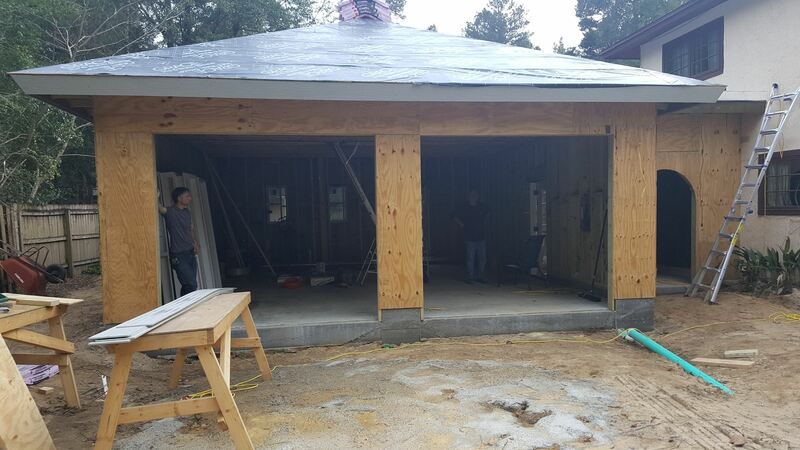 If your garage is directly attached to the house and there is an occupied room above it, we strongly recommend going with an insulated door as it can regulate temperatures and reduce utility bills. What safety factors should I consider for garage doors? You don’t have to live in Florida for very long before knowing hurricane season is very much a thing, and something to keep in mind for all home improvement purchases. Due to the nature of their size, garage doors are much more susceptible to damage caused by high wind compared to other exterior openings. 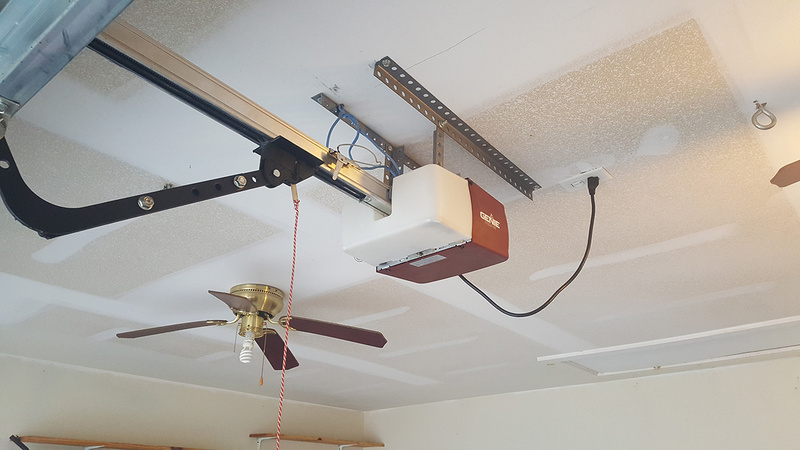 For your convenience, many garage doors now come with a built-in passive reinforcement system which requires to additional set-up prior to a storm! 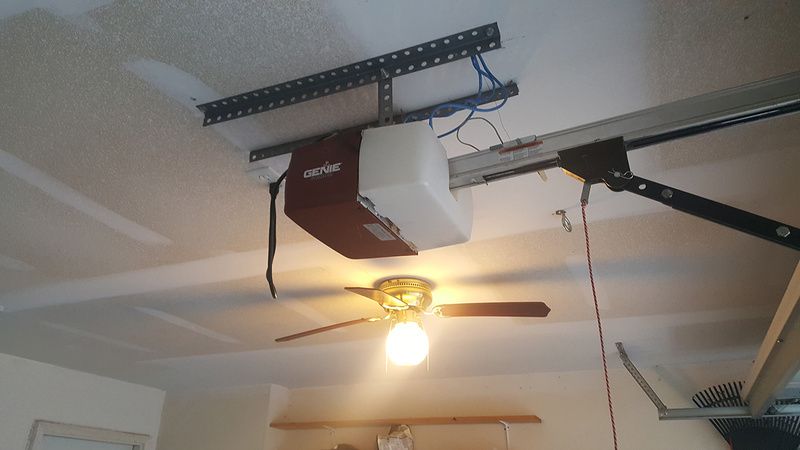 Look for this option when researching garage door models. 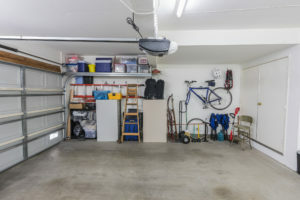 These three questions are just the tip of the iceberg for your garage door shopping. The great news is, we at Blue Water Garage Door Services are only a call away to help you answer any additional questions you may have. Call us today! Are you having a garage added to your home or in need of a garage door replacement? Bluewater Garage Door offers garage door installation services to the Niceville, Fort Walton Beach and Destin areas. We have over 23 years of experience in installation and repair. Garage door installation is not something we recommend doing yourself, as you can be injured or the door may not operate correctly. Whether you’re looking for a single door or a double door, our experts will guide you through the process with ease, keeping you updated every step of the way. Give us a call today to begin your garage door installation service! 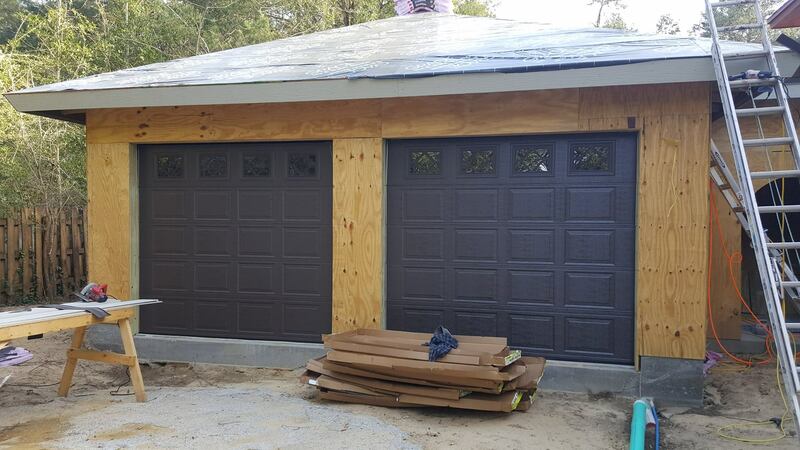 View photos from one of our recent garage door installation projects! 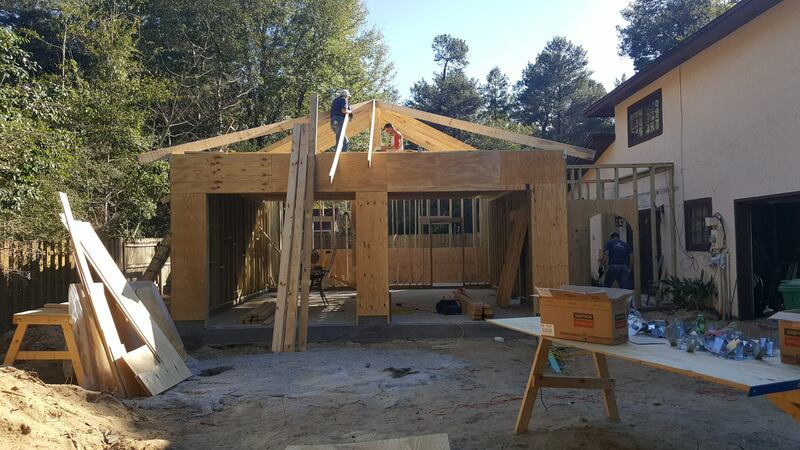 Our customer, located in Niceville, expanded their home by adding a 2 car garage. They chose a beautiful brown door with four glass windows. All of our doors are heavy-gauge steel, and environmentally friendly polyurethane foam. The low-profile hinges provide the maximum amount of strength between each section. The SilentGlideTM rollers offer a smooth and quiet opening and closing of the garage door. Give us a call today for a garage door installation quote! Our garage door repair technicians have seen it all, from broken glass door windows, damaged panels from cars or storms, etc. 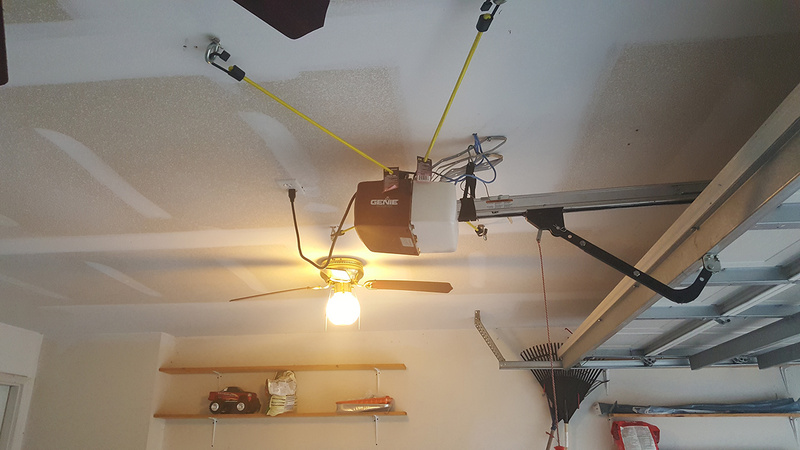 Recently we were called to a home to repair the garage door opener. Much to our surprise, the opener was being held to the ceiling with bungee cords! This made us chuckle, of course, and we proceeded to correctly repair the opener for the homeowner. 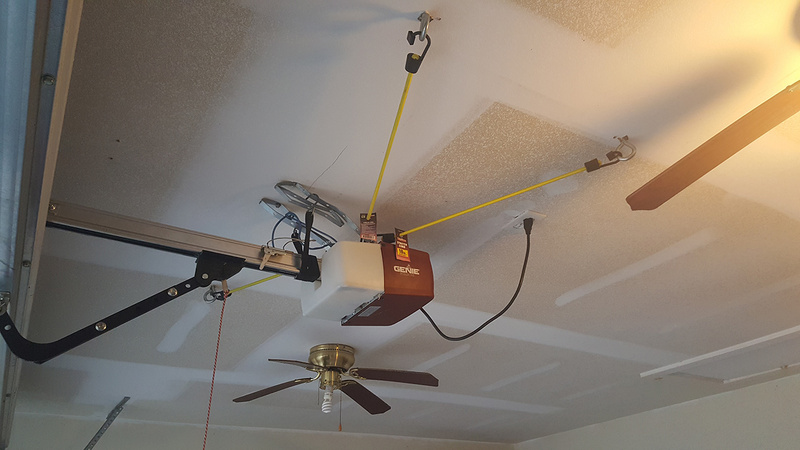 This could be one of our favorite garage door repair stories! Welcome to Bluewater Garage Door Services! Welcome to Bluewater Garage Door Services! Please check back soon for our specials promotions, garage door tips and more!